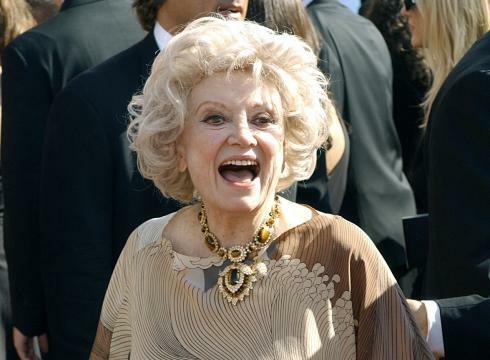 Phyllis Diller, the cackling comedian with electric-shock hair who built an influential career in film and nightclubs with stand-up routines that mocked irascible husbands, domestic drudgery and her extensive plastic surgery, died August 20 at her home in Brentwood, Calif. She was 95. Her manager (Milton Suchin) confirmed the death but said he did not know the cause. Some of the most promising talent in show business was on the bill one day and night in 1955 at San Francisco’s Purple Onion: Eartha Kitt and Alice Ghostley; Paul Lynde and Robert Clary; a singer and dancer with the stage name Maya Angelou, and an eccentric former housewife, a few years older than her fellow performers, with the married name Phyllis Diller. Angelou’s family, including two small children (Clyde and Joyce), were seated in the front row. Years later, she would remember watching Diller and wondering how her guests would respond to her friend’s “aura of madness”. “Black people rarely forgave whites for being ragged, unkempt and uncaring. There was a saying which explained the disapproval: ‘You been white all your life. Ain’t got no further along than this? What ails you?’” Angelou wrote in “Singin’ and Swingin’ and ‘Getting Merry Like Christmas’,” a memoir published in 1976. The housewife soon became a star. Diller, the cackling template for Joan Rivers, Sarah Silverman and so many others, died in her Los Angeles home at age 95. She faced the end, fittingly, “with a smile on her face” – said longtime manager Milton Suchin. Ms. Diller, who became famous for telling jokes that mocked her odd looks, her aversion to housekeeping and a husband she called Fang, was far from the first woman to do stand-up comedy. But she was one of the most influential. There were precious few women before her, if any, who could dispense one-liners with such machine-gun precision or overpower an audience with such an outrageous personality. Ms. Diller, a 37-year-old homemaker when she took up comedy, mined her domestic life for material, assuring audiences that she fed Fang and her kids garbage soup and buried her ironing in the backyard. She exuded an image that was part Wicked Witch of the West – a role she actually played in a St. Louis stage production of “The Wizard of Oz” – and part clown. In her many television appearances she would typically sashay onstage wearing stiff, outsize, hideous metallic dresses (she did this, she said, so she could lie to her audiences about the state of her body, which was really trim and shapely); high-heeled shoes or boots studded with rhinestones; and a bejeweled collar better suited to a junkyard dog or a fur scarf that she claimed was made from an animal she had trapped under the sink. Slinking along on skinny legs, her feet invariably pointed outward, penguin-style, she originally carried a long bejeweled cigarette holder that held a make-believe cigarette from which she continually flicked imaginary ashes. Ms. Diller, who did not smoke, later discarded the cigarette holder. Her hair was the blond flyaway variety, sometimes looking as if it was exploding from her scalp; her eyes were large and ferocious, her nose thin and overlong – she ultimately tamed it through plastic surgery. And then there was that unforgettable, ear-shattering voice, which would frequently explode into a sinister cackle that seemed perfectly matched to her image as the ultimate domestic demon. This entry was posted on Tuesday, August 21st, 2012 at 4:15 am	and is filed under Tragedy. You can follow any responses to this entry through the RSS 2.0 feed. You can skip to the end and leave a response. Pinging is currently not allowed.